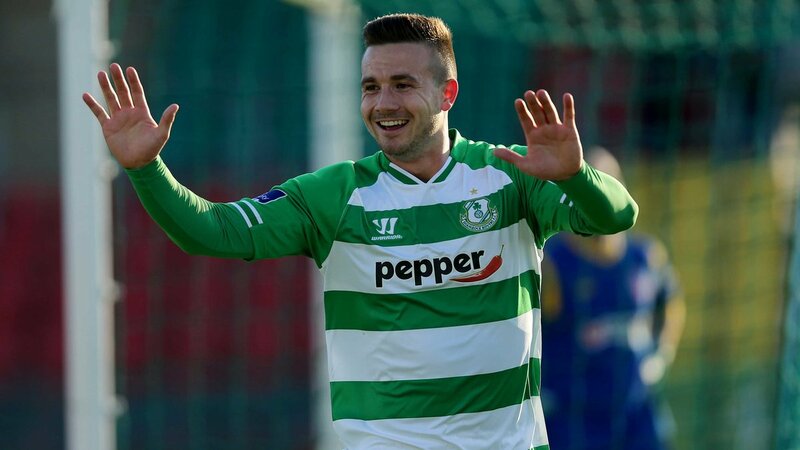 Former Aston Villa trainee, Mikey Drennan, has announced via his current club, Irish side Shamrock Rovers, that he is to take time out of the game to battle depression. Irish-born Drennan spent four years in England with Aston Villa, where he played in the same youth team as current Aston Villa first team player Jack Grealish, was also sent out on loan to both Portsmouth and Carlisle United before returning home to play for Shamrock Rovers in January 2015. In an emotional and heartfelt post on his Facebook page, first reported by RTE, the 22-year-old opened up about his battle. “I want to put this on Facebook to let people know what’s going on and will be in the papers soon,” he wrote. “I’m taking time out of football because I’m not happy and I’ve been suffering with depression for the last 3 years and I thought I would have dealt with it better then but it’s come to a point now where I need to leave and take a break. “I just want to be happy because life is way too short, I need to be around people I love and get a job. “I needed something to change and this is a very tough decision and one that I’ve put my whole life into and hoped to be successful in but it’s not one I’ve made over 2 weeks. “This has been on my mind a lot over the past few years but I said I would stick it out..it can’t get any worse but it did and I haven’t spoke to people about it as much as I should and I wanted to deal with it myself but it was the wrong decision. “People will always look at me different saying, “I’m a failure” and all that crap but it’s the reason why I came home in the first place to play soccer here to see would it make me better which obviously it didn’t. “I just wanna come back and get the help I need to get back on track and would like to go back playing in League of Ireland at some stage if the chance came up. Mental health is becoming a more prevalent subject in sport, with many ex-pros revealing at the end of their careers that they suffered from depression. Recently former Arsenal defender Kenny Samson revealed his battle with depression and alcoholism. The Samaritans reported in their annual report that in 2014, 6,122 suicides were registered in the UK. This corresponds to a suicide rate of 10.8 per 100,000 people (16.8 per 100,000 for men and 5.2 per 100,000 for women). Samaritans also reported that the highest suicide rate in the UK in 2014 was for men aged 45-49 at 26.5 per 100,000.